In many situations, I put far more stands off the plots than on them. The way that farm lays out, setting up between bed and feed doesn’t fit well/isn’t low impact. Also, notice that more than one of those food plot stands are also covering in-woods movement. That isn’t an accident. I try to setup a property to create stands that cover both food and what is essentially deep woods movement when practically possible. Almost always better to kill 2 birds with 1 stone…Just did a quick count. 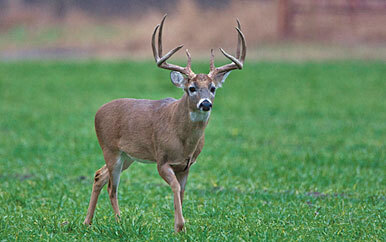 8 of 11 food plot stands also cover pure in-woods deer movement. I suspect the drawing doesn’t show that very well, but they are covering both the food plot and the “sidewalk” in the woods.